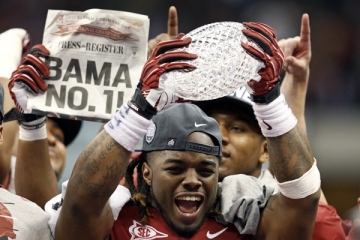 Everyone gets all wrapped up in the pre-season hype and starts to over think the national championship picture. It really comes down to three things at the end of the day, first is talent, second is schedule, and third luck. There really isn’t too much else to it. Now obviously these things are correlated. If you have a ton of talent you can overcome a tough schedule and a couple of bad breaks. Or, as in the Big Ten’s case, you can have an easy schedule and walk into the national championship without really having accomplished anything (see OSU in ’07 and ’08). The most overrated quality in a championship team is experience. Obviously experience helps, but I would rather have a bunch of talented players with not much experience over a bunch of seasoned vets with limited talent. The last three BCS champs had a first-year starter at QB. This is college and the reality is that experience means having a year or two on somebody, which isn’t really much. I mean Peyton Manning isn’t still playing for the Vols. So don’t over think your pick for the champion this year. Pick the team that has a ton of talent, manageable schedule, and needs few breaks to win. 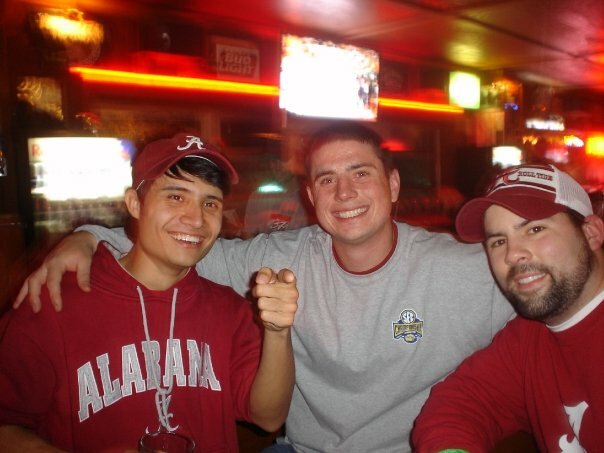 What I am trying to say is…pick Alabama to win 15 this year. I hope you fellow Alabama football fans out there didn’t buy too much “14” gear because we are taking it to the house again this year. See you in South Beach in January. RMFT.